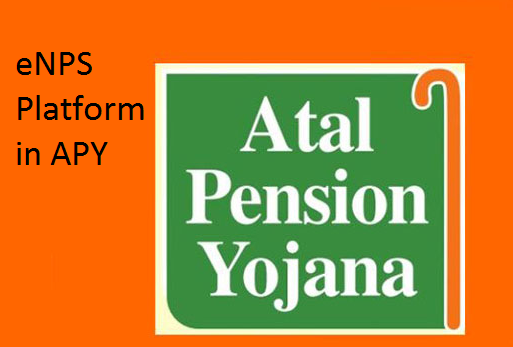 The central government is taking several measures to increase the number of subscribers for the pension scheme launched by PM Modi named the APY scheme. In addition to this, new features are also being added to provide more benefits to the beneficiaries of the scheme. The PFRDA is the regulatory authority of implementation and deployment of the APY scheme to the Indian masses. It has developed an online platform from where applicants can make online application for APY. Subscribers of APY scheme can pay for their subscription without even visiting the bank physically. They can select internet banking option which is being provided by almost each and every nationalized bank. Apart from this, one can also apply for the APY scheme through the online banking portal without any physical application submission. This digital push by the government will surely help in drawing more number of applicants and subscribers to this pension scheme. A new online platform will soon be implemented by the PFRDA which is named as eNPS platform which will not only enable online subscription for the NPS, but also for the online registrations of APY scheme. The applicants will no longer visit a post office or a bank to collect form and submit it. Entire process will be done digitally. Two meetings are already being staged by the PFRDA in presence of all the nationalized bank representatives and India Post representatives. 05.2017 – The first meeting was held at the office of PFRDA in New Delhi where CGM, PFRDA was present along with Nodal officers of most of the nationalized banks as well as from the India Post. 05.2017 – The venue for the next meeting was Chennai which was headed by DGM, PFRDA along with banks’ and India Post’s representatives. Both the meetings had similar topic of providing benefits of APY to the beneficiaries and attracting new applicants through the eNPS platform which is being pushed for development, at the earliest, by the PFDRA team.